I saw this picture above going around on social media, and it really got me thinking. Anyone who has read any of my previous posts, knows I am not a smoker anymore. And for those of you just joining now, go take a look at my other posts and check out my story! Sometimes I wish I was growing up in this era. Like if I was 18 or 19 yrs old, I probably wouldn’t be a smoker. Times are different from 20 yrs ago when I started smoking. It’s not as easy to buy a pack, smoke places and there is no cool factor anymore. When I was growing up I could walk into any store and purchase cigarettes with no questions asked. Now you have to be 19 yrs and show your government photo ID. 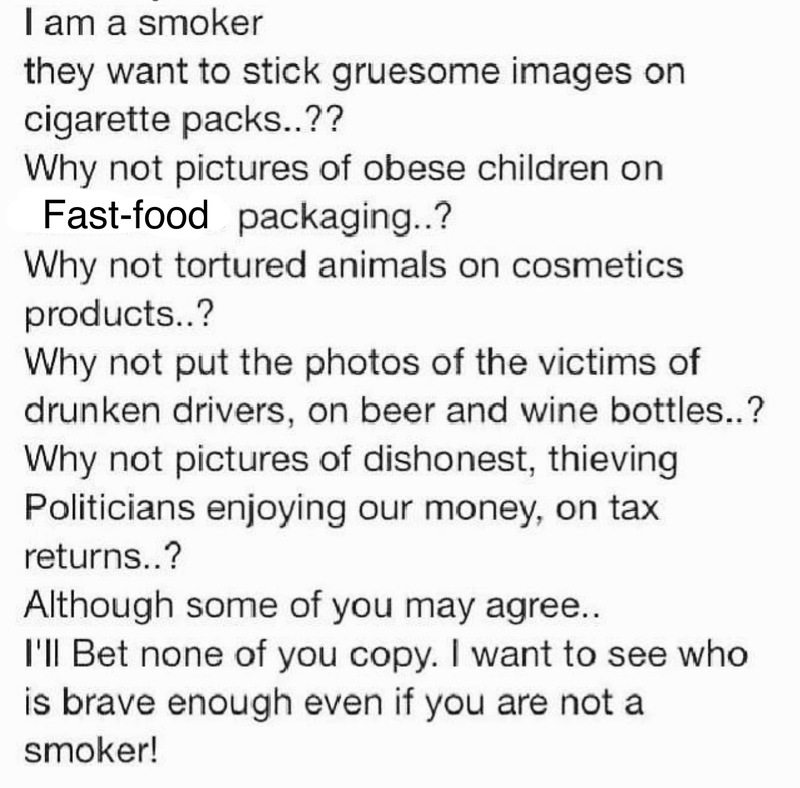 And you can’t see what you’re purchasing because all cigarettes must be covered so the public can’t see. First an update on my last blag: Since my last blog regarding gestational diabetes, I was retested and I do not have it, not even close. I should add that 20% of women who take the test have a “higher than normal levels” result the first time around and only 5% of those women actually have it upon re testing (also women 25 or younger are not even tested for this). Though this information was available to me before, I wasn’t hearing any of it at the time anyways.